Do you believe that one person can change your life forever? Better than that, Sheri can help you change your own life. In her fifties Sheri began her career as a life coach, coaching for Jack Canfield’s Success Principles coaching course. Teaching the program taught her to decode the programming that causes people to settle, play small, and stay stuck – a new code that supports the change people want to BE in the world. Do you know what to do but you’re just not doing it? Sheri can help you change that and more. Traditional medicine is learning that your mental attitude gives you the unhappy results you don’t want. How many millions suffer with cancer? Diabetes? Heart Disease? 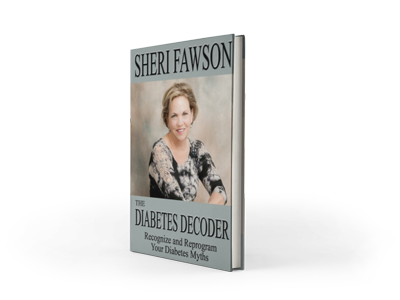 Sheri is the author of The Diabetes Decoder: Recognize and reprogram your Diabetes Myths. While directed to people with diabetes, the book offers insight into and help for the unhappy results that stem from any and all physical and mental ailments. Sheri offers her book, written to help others with diabetes who are searching for relief and answers to the questions medical practitioners cannot provide.